The research team, which included UWA Oceans Institute Director Professor Shaun Collin, Associate Professor Nathan Hart and Dr Ryan Kempster, set out to test the effectiveness of a range of deterrents that have either been shown to work with other aquatic vertebrates (predominantly bony fish), or are currently commercially available as shark deterrents. Bright flashing (strobe) lights can be effective as shark deterrents and do deter sharks from biting. However, the effectiveness of strobe lights appears to be restricted to strongly nocturnal and/or benthic bottom-dwelling shark species. Loud underwater sounds (both artificial sounds and natural orca calls) were not effective at deterring small sharks in the laboratory and had only a limited deterrent effect in the wild. 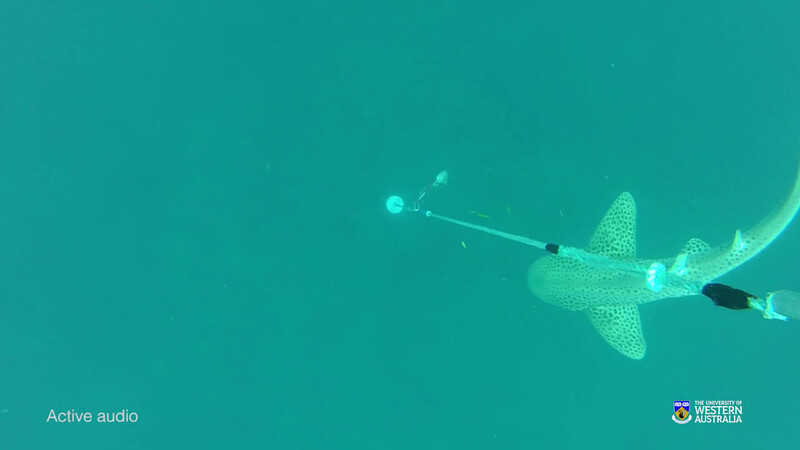 Some bubble curtain arrays were effective in deterring sharks, but only for a very short time, after which sharks became used to the bubbles and did not hesitate to cross the bubble barrier. However, it was found that altering the presentation of the bubbles resulted in improved effectiveness in deterring sharks, but further investigation is needed. The Shark Shield, an electrical device which can be attached to an ankle, surfboard or kayak, had a significant effect in deterring a range of shark species, including tiger sharks and white sharks, although further testing is still required to be statistically confident in the species-specific effects. The results highlight the major findings of the research, but it still needs to be scientifically validated through the peer review process. Full details of the research will be released in scientific publications later this year. Professor Collin said once the results had been published, the investigations would provide valuable insights into the effectiveness of existing shark deterrents and reveal a range of interesting findings about the sensory world of sharks. "We hope this will ultimately lead to the development of new shark deterrent technologies in the future," he said. 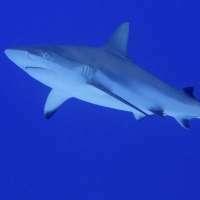 Professor Mohammed Bennamoun's team from UWA's School of Computer Science and Software Engineering has also developed advanced computer algorithms that allow for the automatic detection, identification and tracking of sharks from aerial videos. The system is powerful enough to distinguish sharks from other marine objects such as swimmers, boats and dolphins. The system also allows shark detection and tracking under challenging imaging conditions such as low light, strong sun reflections, poor contrast and fog. "A recently awarded $500,000 grant from the Australian Research Council (ARC) will enable us to pursue this work and tackle the more general problem of visual recognition of marine species," Professor Bennamoun said. "Automating marine species recognition would overcome a major bottleneck faced by marine scientists who currently need to manually process underwater imagery to assess the health of our oceans. We will also be looking for a potential partner to commercialise our technology."